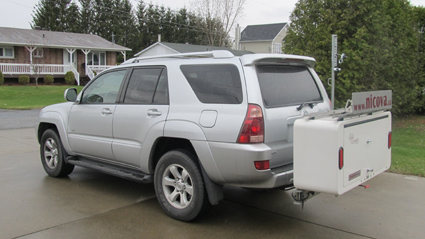 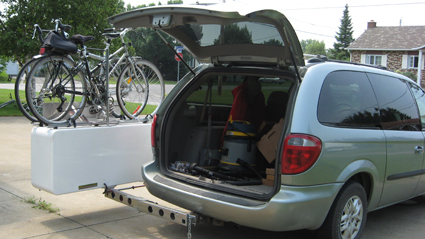 The Vélo Combo 101 is a light, strong, watertight fibreglass cargo box on which a two-bike rack can be attached. 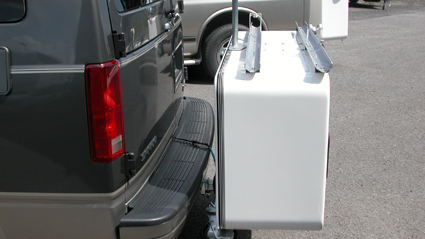 It can be equipped with either a swivel mount or a fixed mount, depending on your needs. 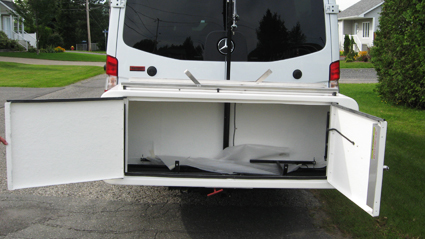 Its two doors open from the middle outward. 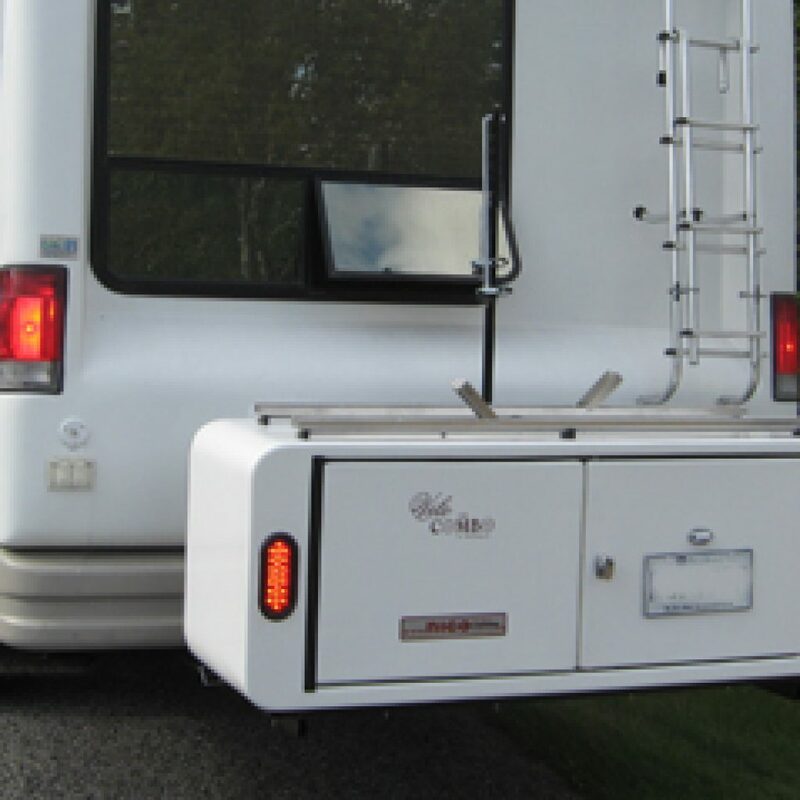 It is especially suitable for class B, B+ and C recreational vehicles. 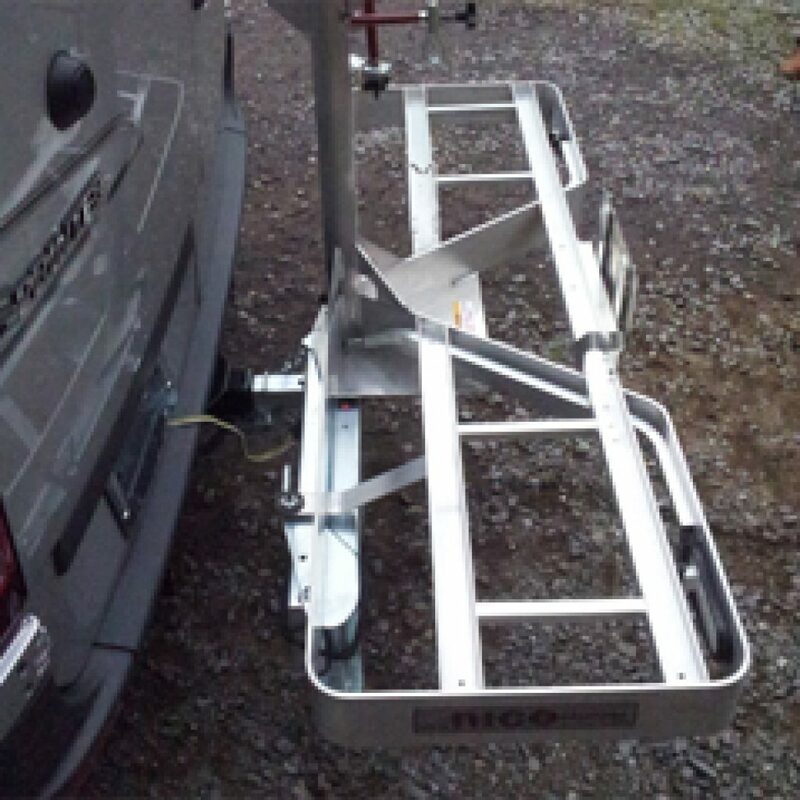 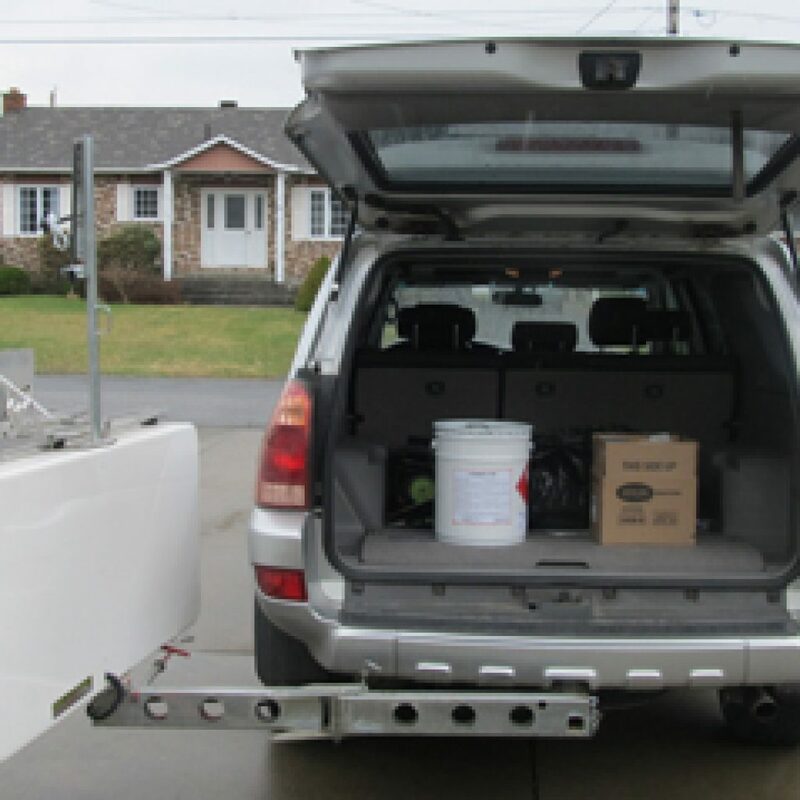 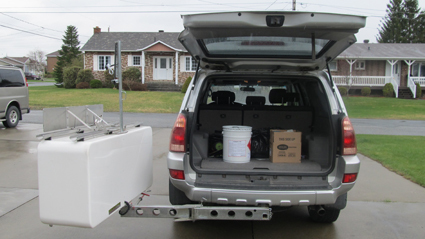 This product comes with a trolley that can be dismantled, which can be used to carry and put away the cargo box. 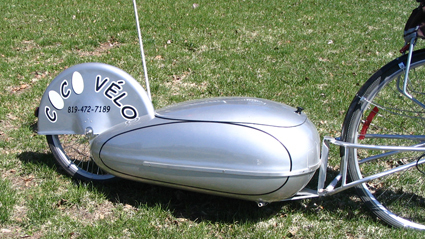 Product available by special order only. 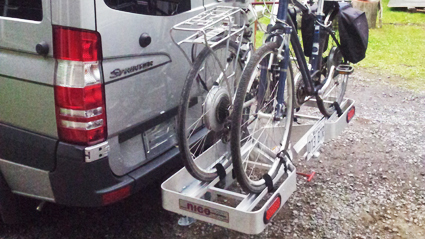 The Vélo Combo 202 is a very light and robust platform-type bike rack specially designed for electric bicycles. 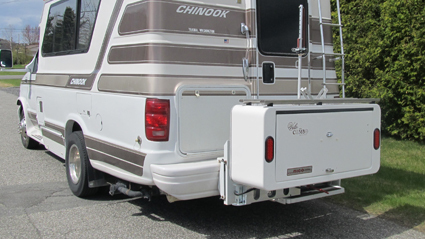 It can be equipped with either a swivel mount or a fixed mount, depending on your needs. 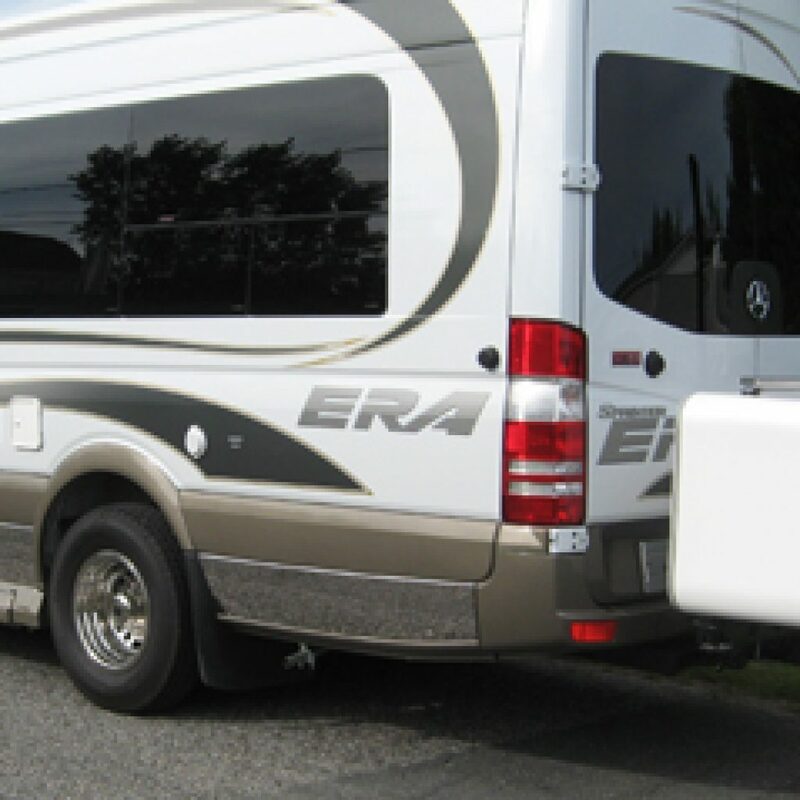 It is especially suitable for class B, B+ and C recreational vehicles. 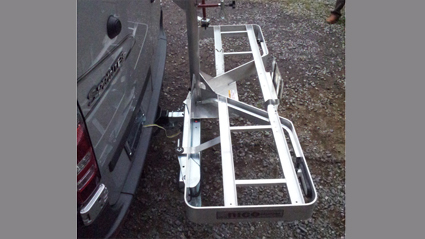 This product comes with a trolley that can be dismantled, which can be used to carry and put away the cargo box. 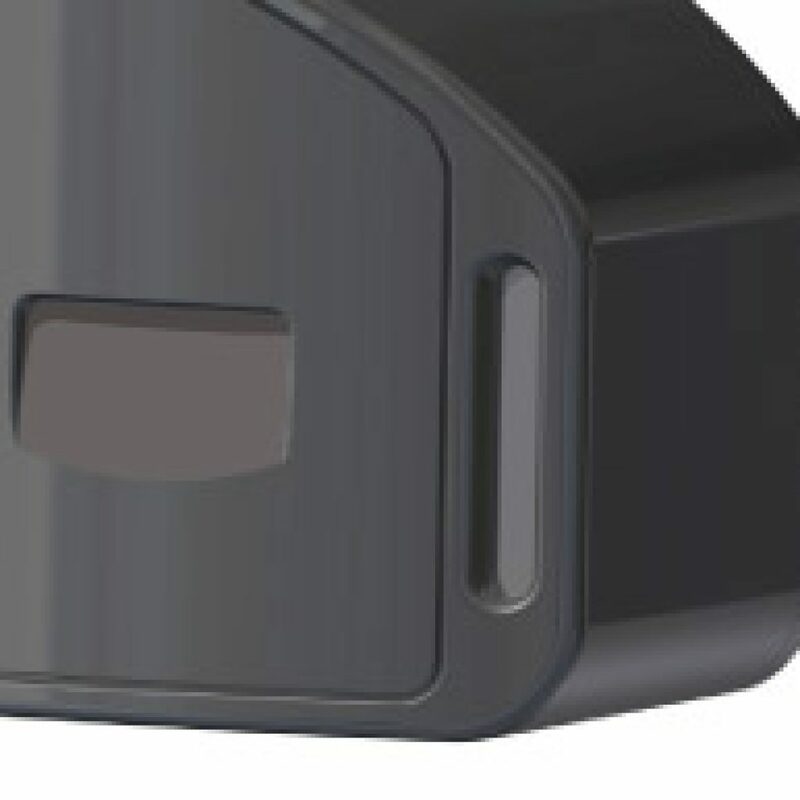 Product under development: additional information to come. 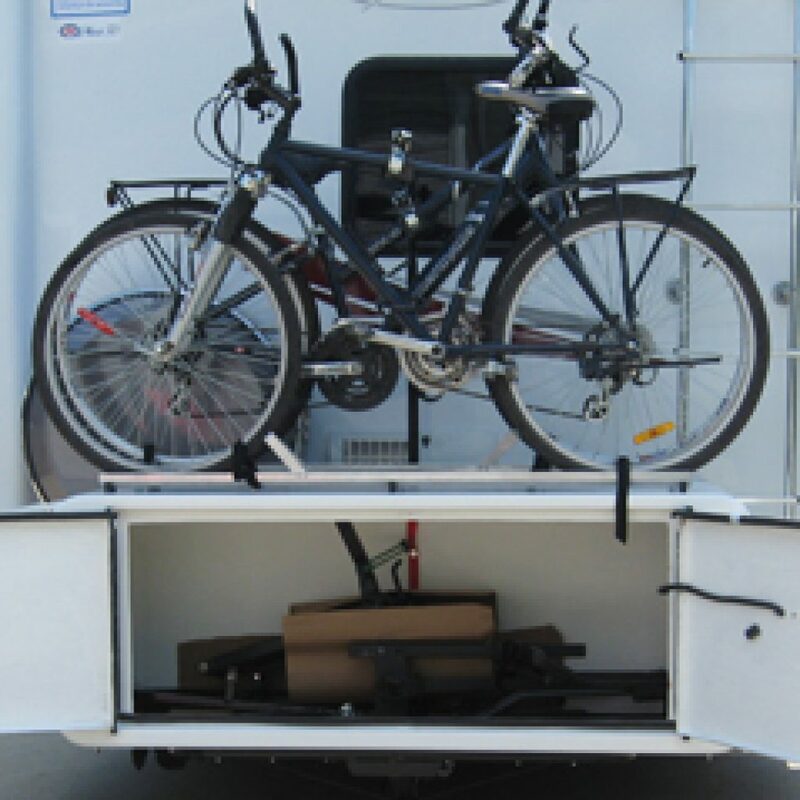 The Vélo Combo 302 is a light, strong, watertight fibreglass cargo box that can cover one or two bicycles. 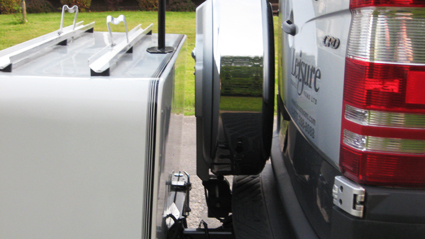 It can be equipped with either a swivel mount or a fixed mount, depending on your needs. 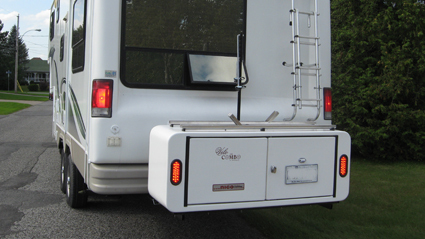 Its two doors open from the middle outward. 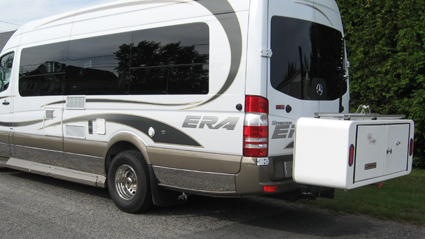 It is especially suitable for class B, B+ and C recreational vehicles. 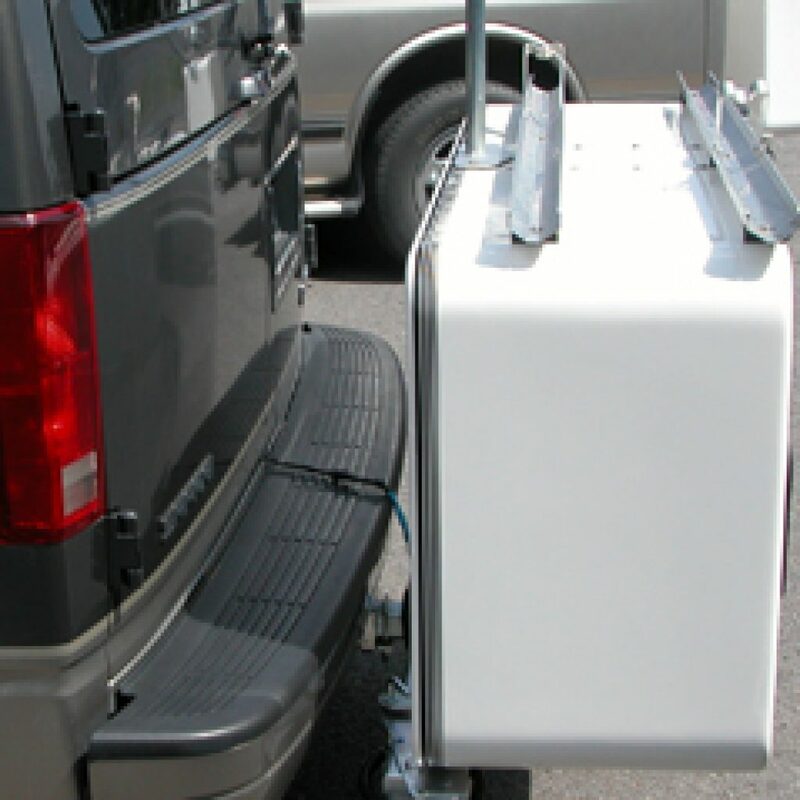 This product comes with a trolley that can be dismantled, which can be used to carry and put away the cargo box. 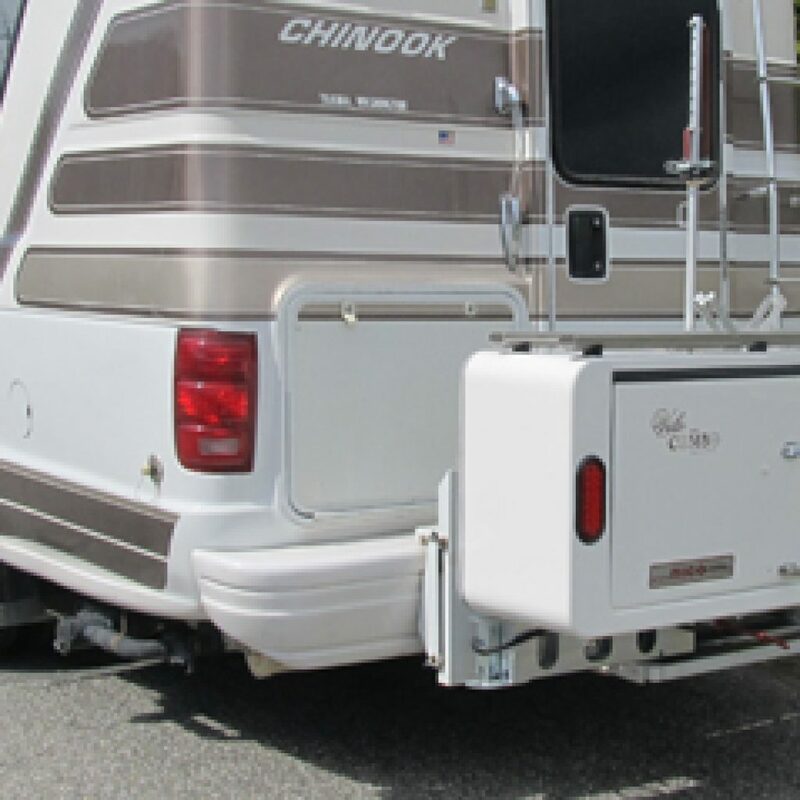 Product No.401 is discontinued and product No. 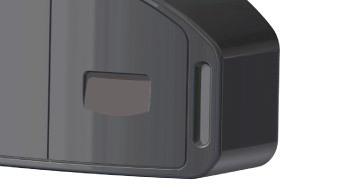 402 is under development. 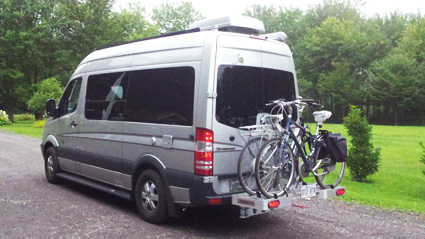 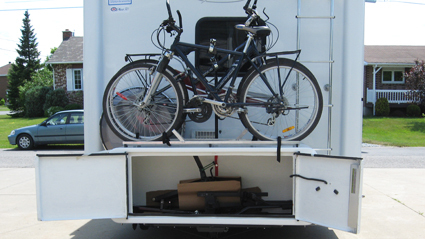 The Vélo Combo 401 is a very light, strong, watertight fibreglass cargo box on which a two-bike rack can be fixed. 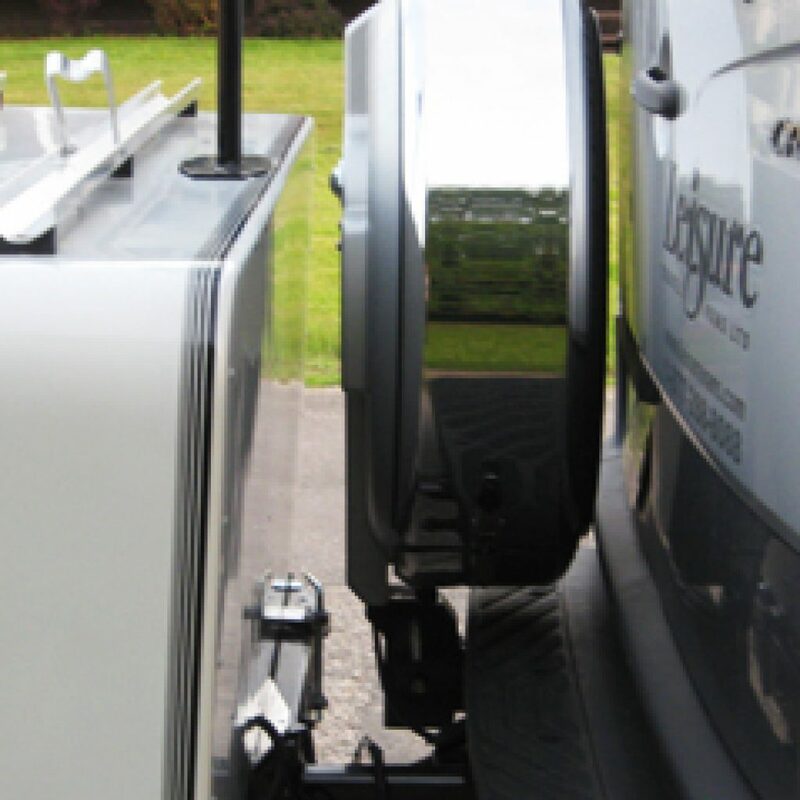 It can be equipped with either a swivel mount or a fixed mount, depending on your needs. 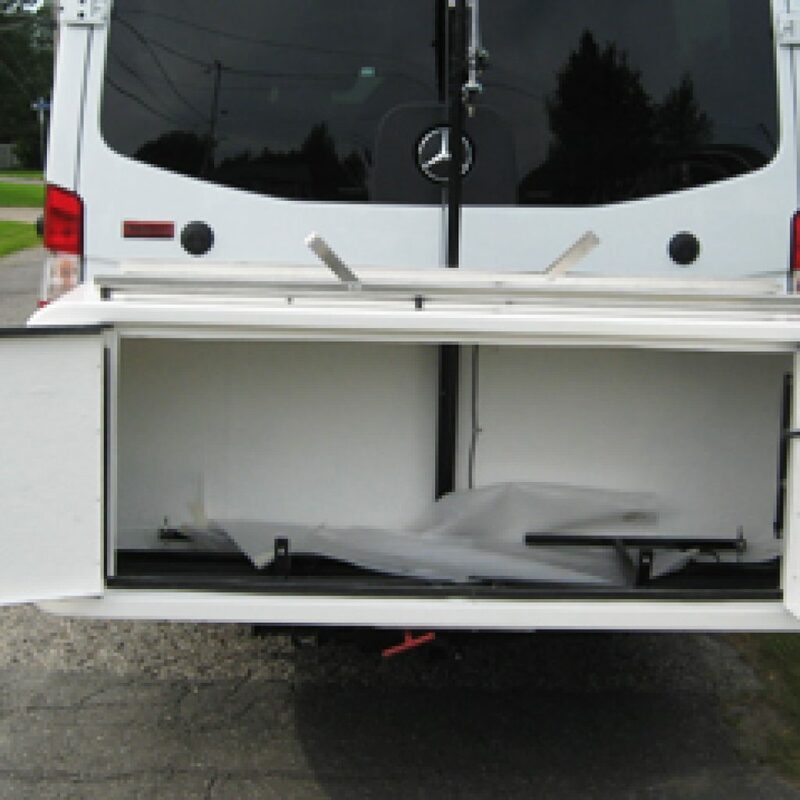 Its door can be opened upward and can be maintained by a movable rod. 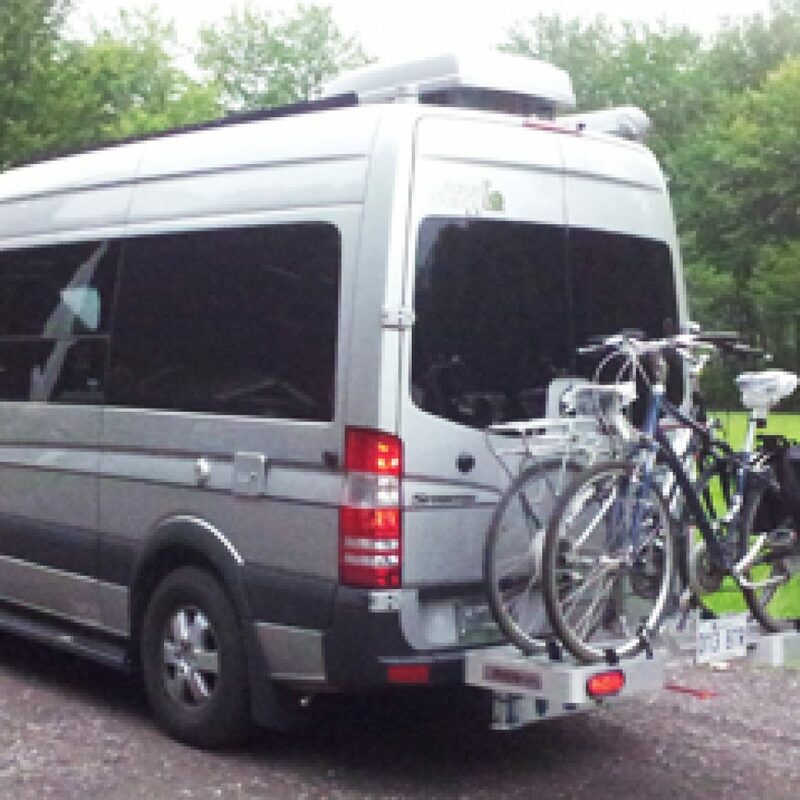 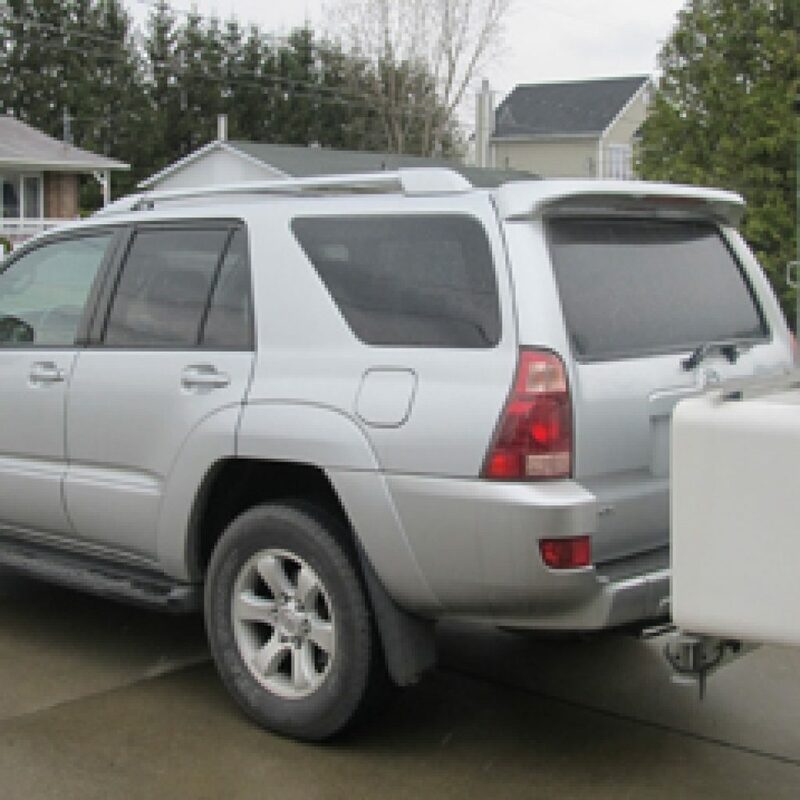 It is ideal for SUVs, Westfalias and small recreational vehicles. 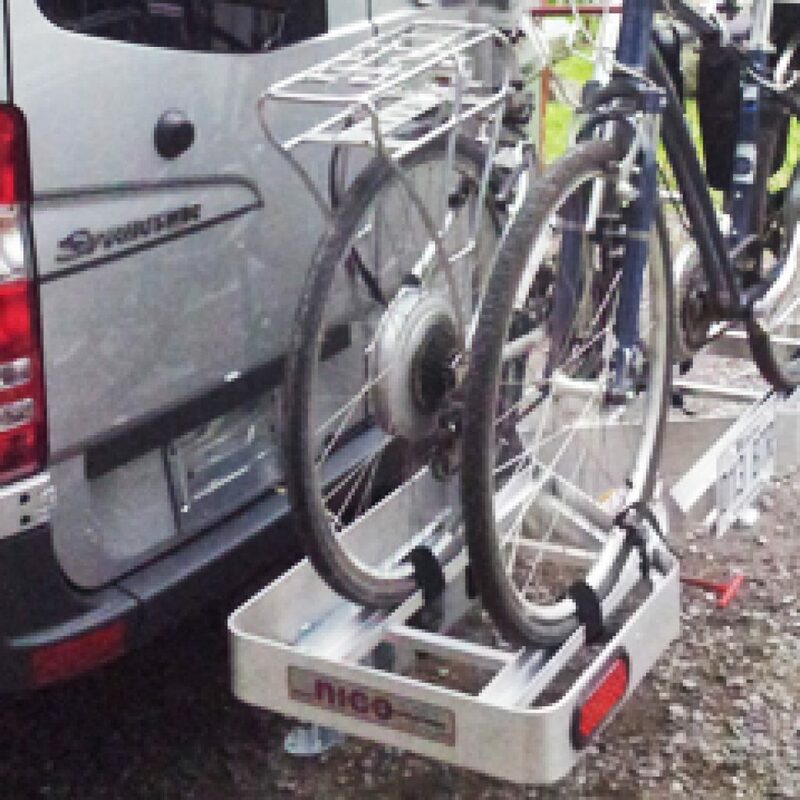 This product comes with a trolley that can be dismantled, which can be used to carry and put away the cargo box. 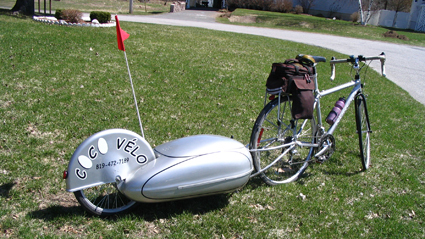 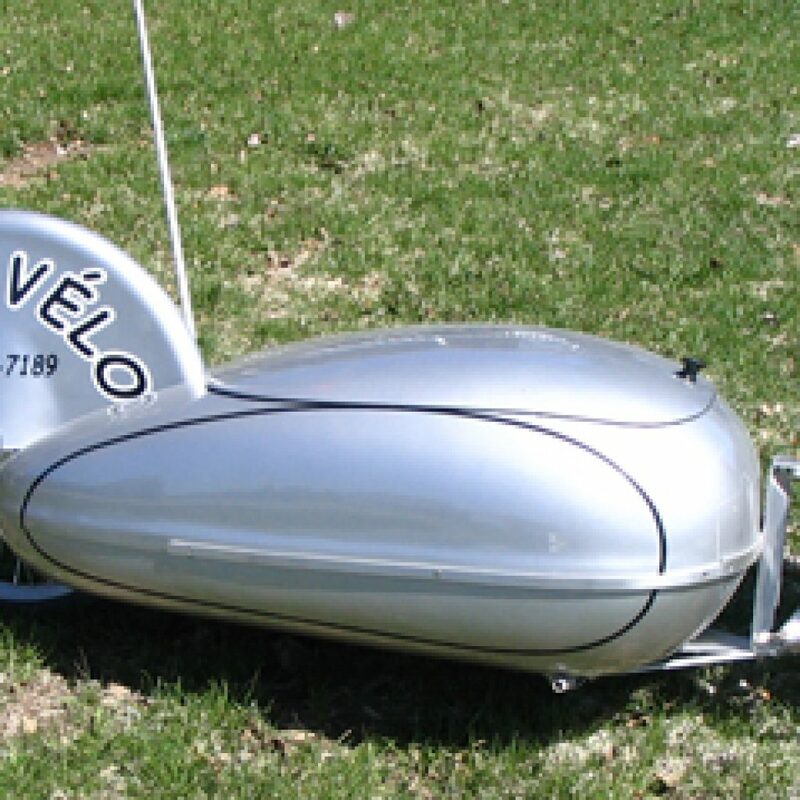 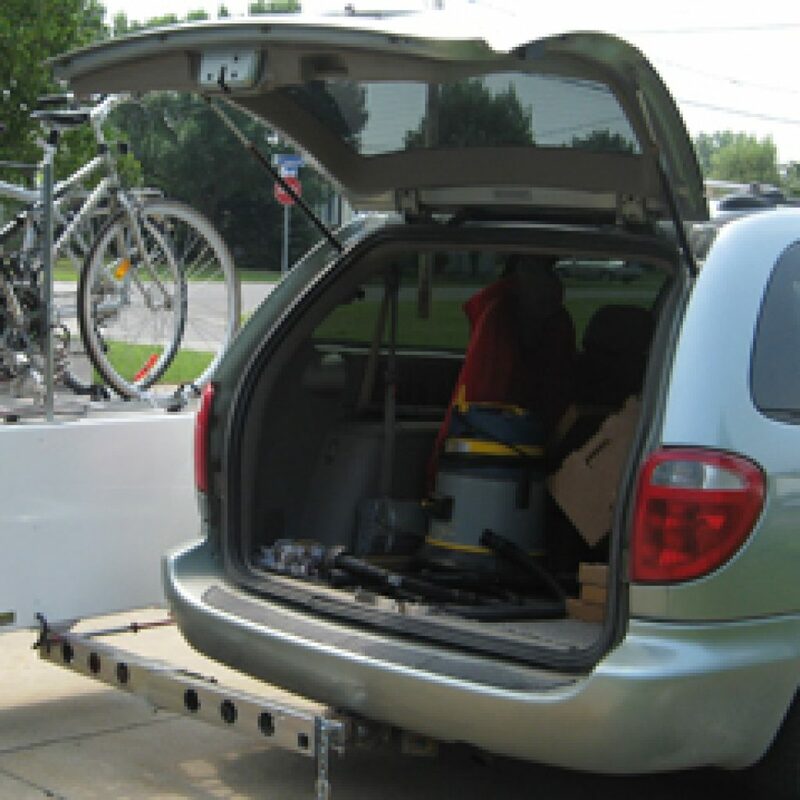 The Coco Vélo is a transportation trailer that can accomodate various objects and protect them from inclement weather. 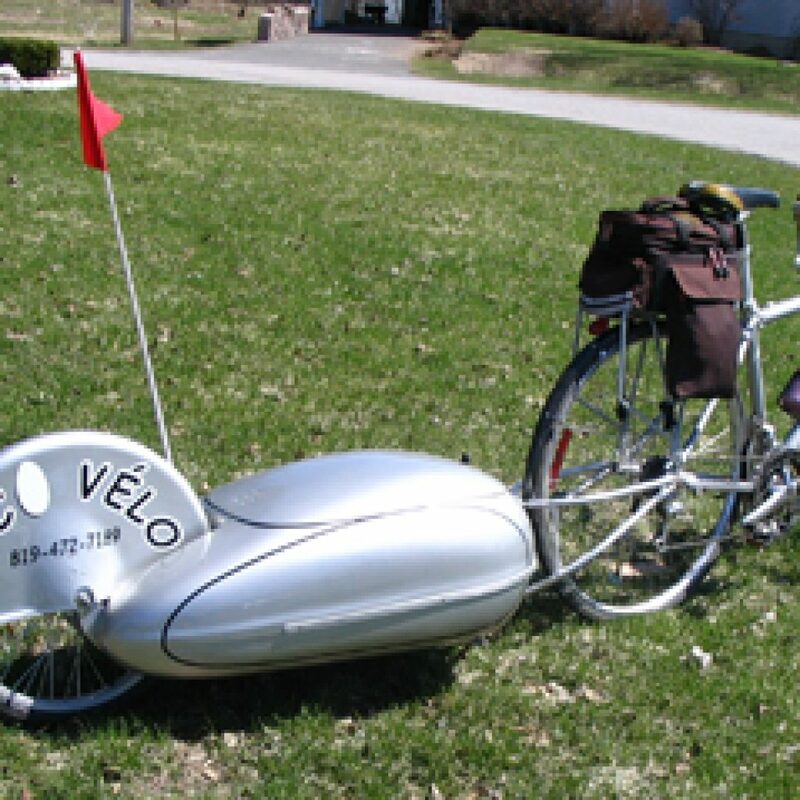 The Coco Vélo is an ideal utility product for bike camping, carrying food for a picnic or, simply, your shopping purchases.